1860s Live Music 365 Days a Year! 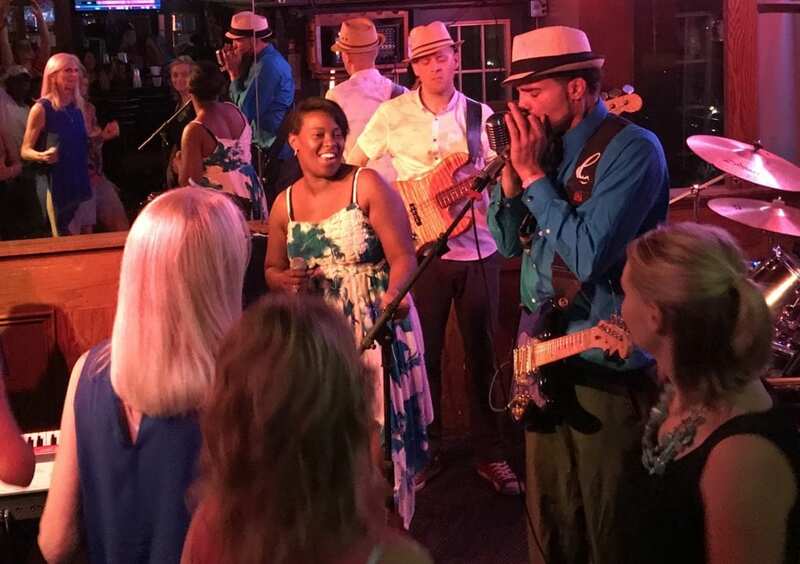 Blues, R&B, Motown and Classic Rock music lovers enjoy the artists performing in the “Old World” Saloon, with its hardwood floors and 100+ year old back bar. Favorite bands like Soul Reunion and Fred Pierce draw live music lovers to the energetic atmosphere. Artists Michael Thomas, Marsha Evans and Everett Dean entertain crowds week after week. Visiting musicians from the Midwest fill out the quality lineup year round. In addition to the Saloon, the 1860’s Game Room, also with a full bar, is next door and a great gathering spot for playing darts, shuffle board, foosball and more. It’s a great spot for reserving private events Monday through Thursday. Another room, the Hardshell Café, has a New Orleans courtyard atmosphere to enjoy a meal or meet for a drink before or after Cardinals or Blues game. Our two giant jesters and the 500 gallon fish tank are fun additions. The 1860s complimentary shuttle drives to all the home games. There is plenty of free parking in the heart of the historic Soulard neighborhood to make your visit more enjoyable. Visit the website for location, the menu, music schedule, and more, https://1860saloon.com . Also on Facebook, Twitter and Instagram. Email info@1860saloon.com to inquire about group parties. A Win on the Ice & Lunch is 1/2 Price! Mon – Sat 11 a.m. – 1:30 a.m.
We do our best to accommodate but cannot take reservations. For large groups, see our Private Party Info page. Happy Hour: M-F 3 to 6 p.m. 1/2 price on select appetizers, specials on locally brewed beer & liquors, $3 wells. Mondays: 1/2 price pizza from 7 to 10 p.m.
Wednesdays: Neighborhood Night in the Saloon! Complimentary Appetizers 6 to 8 p.m. Lunch Specials: Weekdays 11 to 2 p.m.
Mon – Sat 9 p.m. to 1 a.m.
Sun 7:30 p.m. to 11:30 p.m. Weekends 2 to 6 p.m. Wed, Thurs & Fri 6 to 8 p.m. Enjoy free parking here & shuttle to Cardinals & Blues Games! I always have a good time and consistent great service. 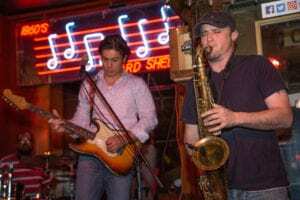 Best live music in Soulard. Great staff! Fast service and wonderful food! The absolute go to place great prices excellent food great bands live music on the weekend great place to bring someone that's in town for a visit hands down one of my favorite places in Soulard. Best chicken strips in the city and you can't beat the price for happy hour! M-F 3 to 6! You gotta get to it! Thank you for your interest in applying to 1860 Saloon, Game Room, & Hardshell Café. We’ve proudly served in historic Soulard over 35 years and earned a reputation for friendly service, great food, and a fun atmosphere. We hire and reward team players that “do what they say and say what they do,” show up with a positive attitude, and have a strong work ethic. If you are interested in joining our team on an hourly basis, please stop by Tuesday thru Friday between 2:30 p.m. and 4:00 p.m. to fill out an application. Most days we are available to discuss employment opportunities at that time.